In The Cat Cave: have a wicked night! 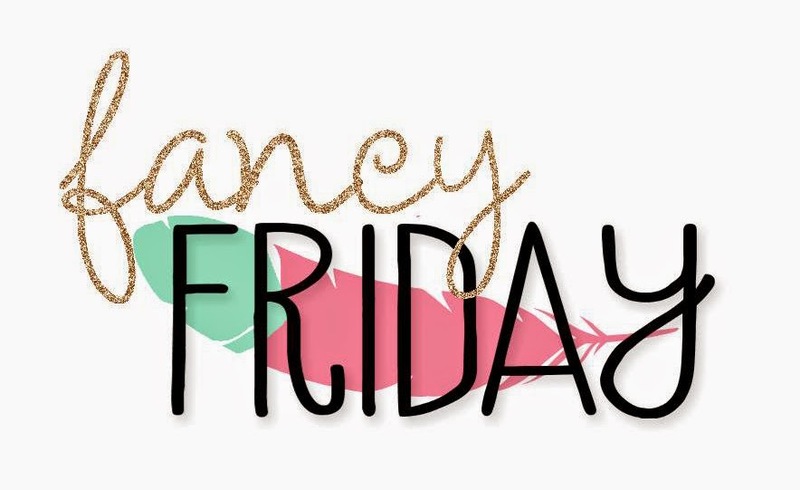 | Fancy Friday: Treats, not Tricks! have a wicked night! | Fancy Friday: Treats, not Tricks! 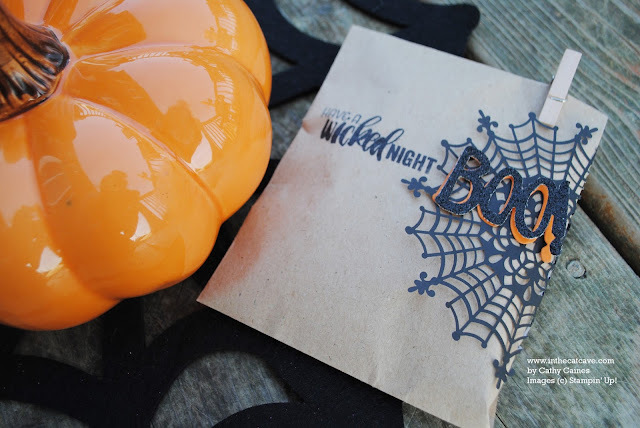 Welcome back to another Fancy Friday blog hop with my past 2013-2014 Stampin' Up! Artisan Design Team friends! 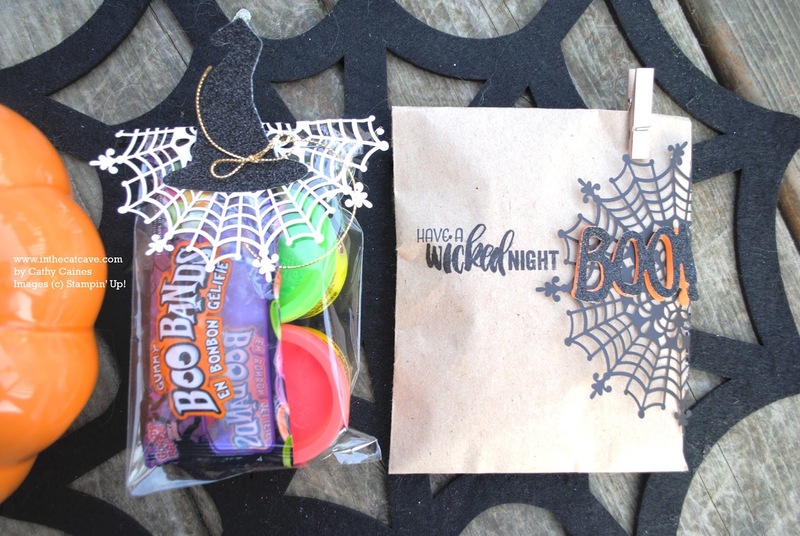 This month's theme is Treats, not Tricks! EASY TREATS, NO FUSS, PERFECT FOR LAST MINUTE MAKING! Well, that is me right now. I still only have the two treat packs you see below. My daughter, Jane, who is 5 likes to be involved in the treat making. Pretty sure that's because she wants to eat the candy mostly. I get her to stamp and I stick the spider web doily and the two boos. Between us, Jane and I both cut the "BOOs" from the Big Shot. 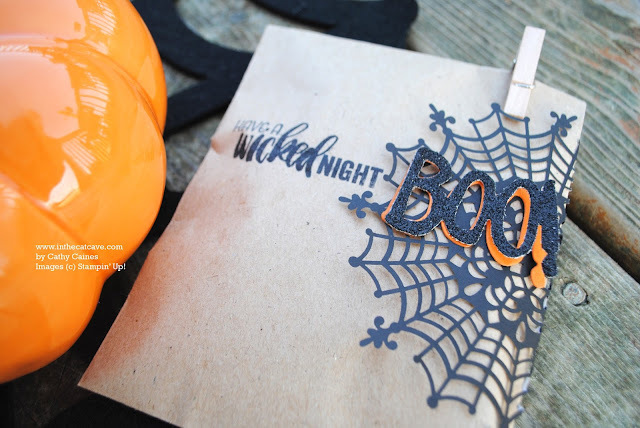 This stamp comes from two stamp sets: Haunt Ya Later and Project Life Seasonal Snapshot 2015. I had to cut the "have a" from the "have a fangtastic halloween" stamp. I wouldn't get your pee hot to cut a stamp - I definitely am always looking for words like "have a" or "you are". It's a great way to stretch your stamp sets. I love combining fonts so creating my own sentiment was right up my alley! I also had to create some bags in clear bags for the schools. They need to approve the treats. I packed the bag with two mini play dough and some candy. I then used the spiderweb doily and reversed it. I stapled the doily and the bag. I glued on the witches hat from the Boo to You framelits and added some gold cording trim. I've been using this cording trim on pretty much all my projects. I love how it holds the curve. I'll be making twenty of each. 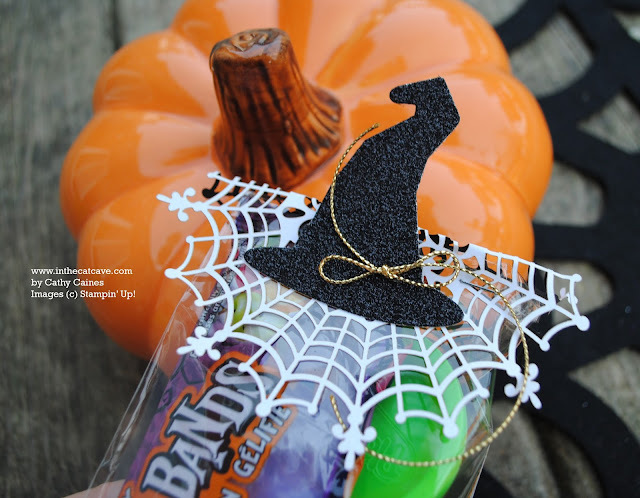 I'll cut out the witches hats and the "Boo" from the black glimmer paper at the same time. I can cut out two orange BOOs at a time. Although it might sound like a lot - I only need to run that big shot 30 times. Now, I am off to an assembly line! It's time for you to check out Cindy! Cathy, I LOVE the way you used the PL stamp set for the bag! BRILLIANT! Halloween Hugs to you!